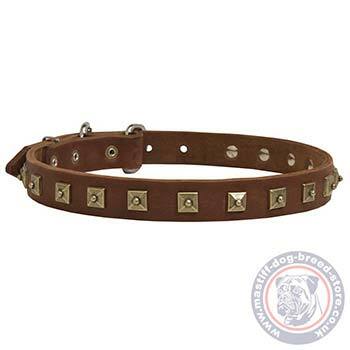 Choose a studded dog collar with buckle for mastiff walking. Sizes: 14-40 in. Width: 1 inch (25 mm). Colors: black, brown, tan. Do you want your dog to look stunning and attract looks of admiring passers-by? Your gorgeous Neapolitan Mastiff deserves the best quality dog collar, that will underline its grace and style. 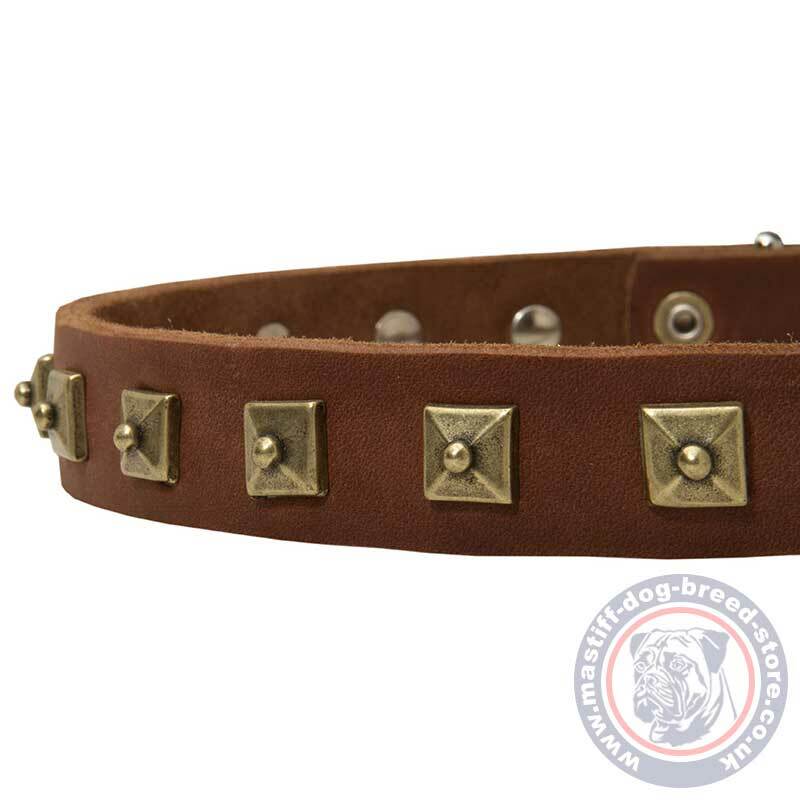 Studded dog collar is decorated with square brass elements. It is a strong natural leather dog collar for mastiff. 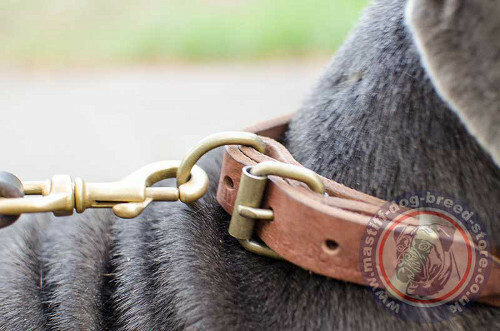 Classic buckle and ring makes this studded dog collar functional and easy in use. Neapolitan Mastiff is a powerful dog. 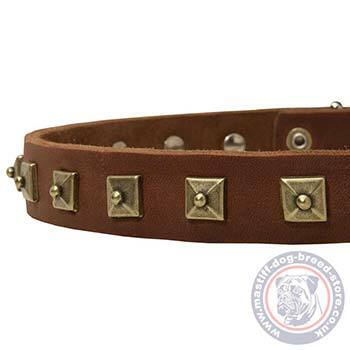 This studded dog collar is made of thick natural leather, to make dog walking of mastiff comfortable and controlled. 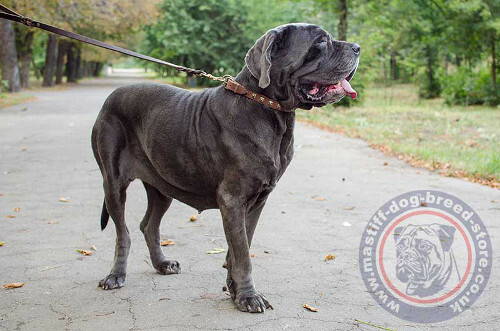 Natural leather dog collar for Neapolitan Mastiff is a reliable and comfortable tool for a large dog. Studded dog collar creates elegant style of your dog. Designer dog collar will underline your taste. Natural leather dog collar is non-allergic and reliable in use. Genuine leather with waxed and polished edges will serve you for a long time if stored properly.